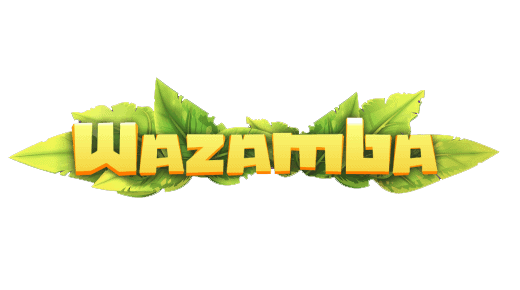 Gunsbet is a very exciting place to enjoy all the latest online pokies. Gunsbet provides the greatest gaming experience and royal service. Games can be accessed on smartphones, tablet and PC for free and real money play. Gunsbet is the cowboy of Mobile Casinos providing players with the latest pokies games, fast withdrawals and exciting ongoing bonuses. Gunsbet brings the excitement of the wild west to your home with pokies and casino games from the leading developers including Net Entertainment, Play’N Go, Pragmatic & Betsoft. These provide the best quality games with highest payouts, on average 96 – 98%, guaranteeing long playing sessions of fun and rewards. 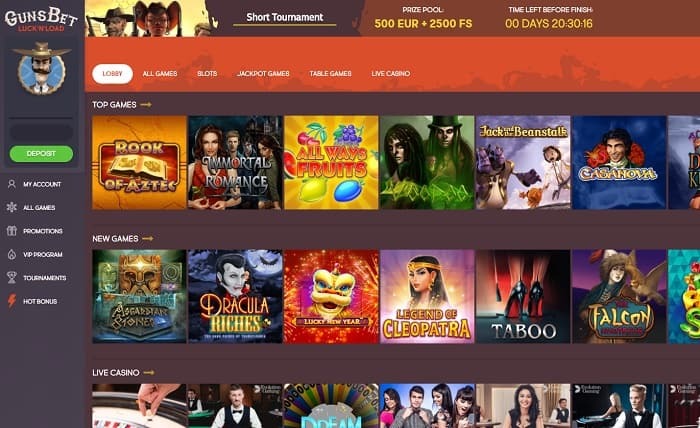 Gunsbet currently provides over 400 casino games with a growing catalogue. New pokies are added every month, you will encounter Egyptian, Batman and Guns n Roses themed slots with linked progressive jackpots and bonuses. You will not only find the latest in interactive slots, also traditional casino games like roulette, blackjack and live dealers. Also the ability to place live bets on over 30,000 different events each year including football, golf baseball and tennis. Gunsbet truly is your one stop gambling entertainment paradise. Deposits and withdrawals are a breeze at this casino, with all possible methods available from major credit cards to popular e-wallets and bitcoin. Once you confirm your identification withdrawals are made to your chosen method usually within 24-48 hours. The casino protects player privacy using a 2048 bit SSL certificate and also has a Responsible Gaming policy in place where players can easily set deposit and play limits. Gunsbet Casino provides support in English and a whole other range of languages to ensure players are looked after around the clock. The operations of Gunsbet is based in Curacao and is fully regulated to provide gambling services worldwide. Since its foundation the mobile gaming company Gunsbet has shown strong growth every quarter.